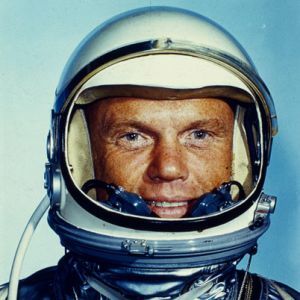 Scroll down for an annotated photo gallery about John Glenn. From my interview with Tom Wolfe in the August 2011 issue of American History . So define “hero” for us, Mr. Wolfe. To me, the word ‘hero’ is bandied about loosely these days. Has there ever been a hero of Wall Street? I get asked by groups all the time to make motivational speeches: ‘Do you have The Right Stuff?’ I decline, but I want to ask, ‘How many of your fellow employees have died this year in the performance of their duties?’ Risking of life is a more stable measure of heroism for me…. 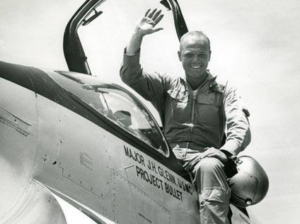 [John] Glenn, in his way, was engaged in single combat with his Soviet counterpart. 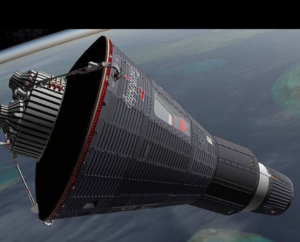 These were the days of the space race. So even though it wasn’t face to face, he was having a duel in the sky. And so the cops at the intersections in Manhattan looked at him go by and they cried, because, in one sense at least, he had “protected” us from the Soviets. Front row, left to right: Schirra, Slayton, Glenn and Carpenter. Back row, left to right: Shepard, Grissom, Cooper. They’re all gone. 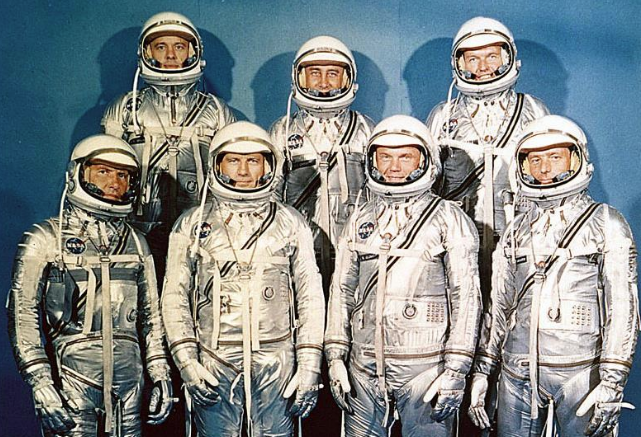 The Mercury Seven astronauts, left to right: Scott Carpenter, Gordon Cooper, John Glenn, Gus Grissom, Walter Schirra, Alan Shepard and Deke Slayton. 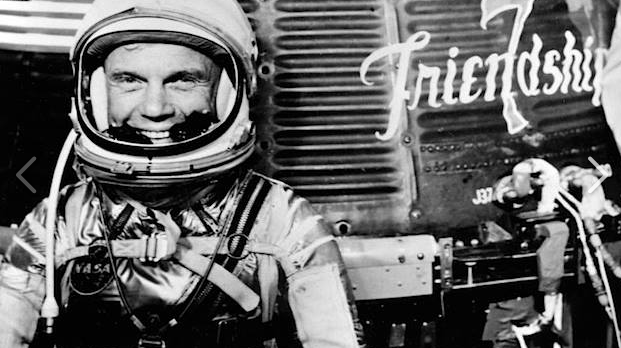 ‘Anybody that goes up in the damn thing is gonna be Spam in a can.’ Chuck Yeager, the most righteous possessor of all possessors of the right stuff. ‘Monkeys? 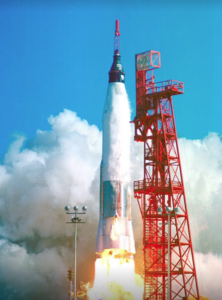 You think a monkey knows he’s sittin’ on top of a rocket that might explode? These astronaut boys they know that, see? 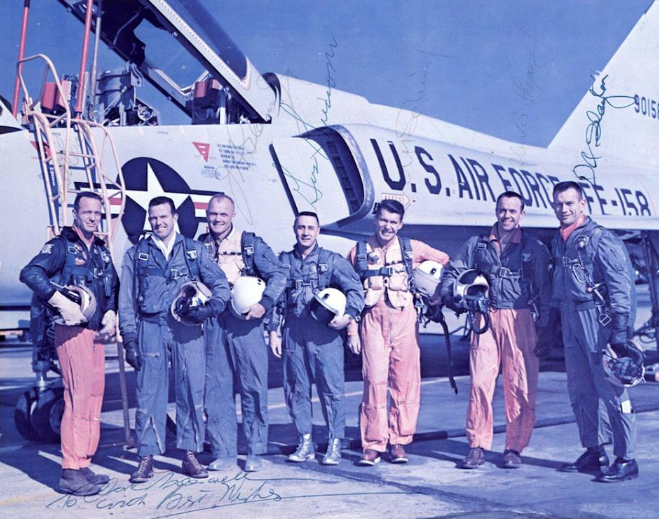 Well, I’ll tell you something, it takes a special kind of man to volunteer for a suicide mission, especially one that’s on TV.’ Chuck Yeager, the most righteous possessor of all possessors of the right stuff. 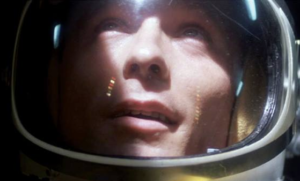 John Glenn’s flight and his perilous return to earth, as portrayed in ‘The Right Stuff.’ Ed Harris as John Glenn, Dennis Quaid as Gordon Cooper, Scott Glenn as Alan Shepard. One of my favorite pieces of film. You should watch the whole thing (18 minutes, 51 seconds). Click here.